Rohan Kale is an international man of mystery. Ok, not so much mystery, but certainly adventure. He was on the typical track of a talented engineering student in India, grinding out 100 hour weeks for a big software company. Wanting more, he made some bad choices, and got sucked into online gambling. Once again wanting more– to have the freedom to travel and explore the world– find out how he decided to start an online video marketing company (naturally, without knowing anything about video production). How he got his first customers, before he even had a website, while he still had his day job. The channels he used to get conversations and how he closed with no track record. 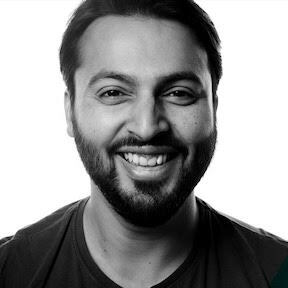 How he scaled his initial marketing efforts. Common pitfalls, especially the “Curse of Knowledge”. The importance of a good script. How to make different videos for your home page, for demos, and for support. The simple setup you can use to get started. When to use YouTube and when to use Wistia. How to turn your videos into other forms of content. Plus, get some travel inspiration from Rohan’s travel schedule and adventures at Oktoberfest. 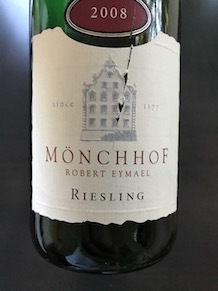 Mönchhof Riesling, 2008. As I mentioned, if I think of it as “wine”, I find it way too sweet. But if I think of it as “dessert in a glass”, it’s pretty good. Rohan was drinking a Helles beer from Munich. Helles (“helles” means “bright” in German— this beer was developed in response to the popularity of lighter Czech lagers in the 1800s).